Once Upon a Time - Elsa Poster. फ्रोज़न - Once Upon a Time. HD Wallpaper and background images in the Elsa the Snow क्वीन club tagged: photo frozen snow queen elsa anna disney 2013 animated film ouat. 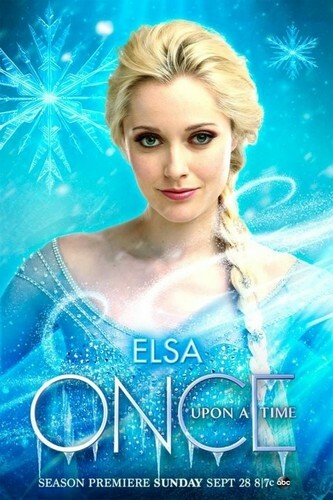 This Elsa the Snow क्वीन photo contains चित्र, headshot, closeup, हेडशॉट, and क्लोज़अप. There might also be त्वचा, skintone, नंगा रंग, आंशिक तन, निहित नग्नता, स्कंटोन, नग्न रंग, आंशिक नग्नता, and अव्यक्त नग्नता.